Major home improvements usually involves increasing your living space. We’re experts at building and integrating large additions to your existing home. Enhancing the beauty and function of your home is paramount to the satisfaction and enjoyment you experience every day in home. The work and craftsmanship of B/W Home Builders will ensure you receive the best craftsmanship in the industry. No matter what level of remodeling you are interested in performing to your home, we can make your vision come to life. Improve the look of your home and save on energy costs at the same time with vinyl siding. There’s not peeling paint, wood rot and no costly maintenance. You’ll enjoy increased comfort and ease of operation when you choose from B/W Home Builders wide selection of siding. Kitchen Remodeling is a great investment in your home, and will be enjoyed every day. By remodeling your kitchen you can add value to your home, and at the same time save money with energy efficient kitchen appliances, or by replacing your drafty kitchen windows. When it comes to kitchen remodeling, you have many decisions to make. 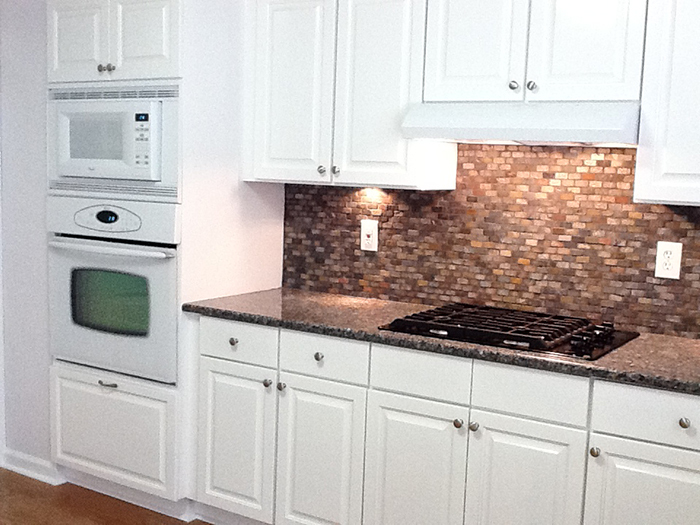 B/W Home Builders is here to assist you with your kitchen remodeling project. Kitchen remodeling is very broad and consists of many smaller areas. Maybe you’d like to improve your current kitchen, or perhaps you’ll want a complete kitchen remodeling. 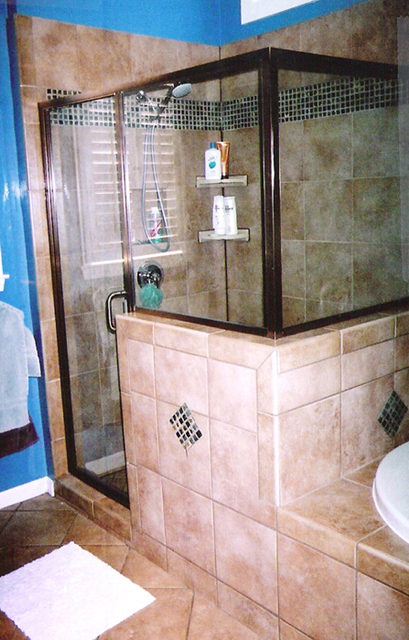 One of the most popular home improvement projects in the U.S. is bathroom remodeling. A remodeled bathroom will surely provide increased enjoyment of your home, and it is among the home improvements with the highest return on your investment. Adding a new bathroom will often recoup at least 90% of your investment when you sell your house, while remodeling an existing bathroom will usually pay back around 80-90%. But as good as these returns are, think about the pleasures you’ll get from your remodeled bathroom until the time comes to sell. 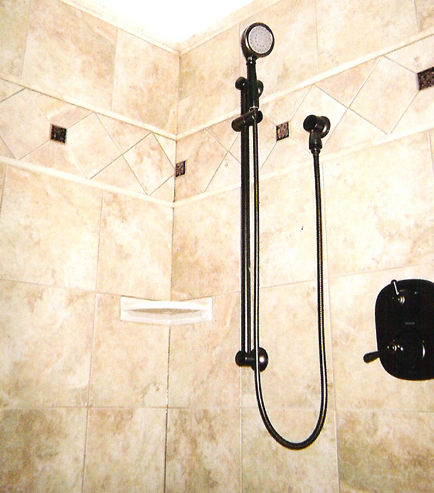 Here at B/W Home Builders we are ready to help you with all your bathroom remodeling needs. Please feel free to give us a call for all your remodeling needs. Looking to add significant living space by adding a second floor? Our results will lead you to the same conclusion thousands of our clients came to – B/W Home Builders is the ONLY choice when you want Quality, Value, and Satisfaction. We can remodel your home to increase your living space whether you want a first floor addition or second floor addition. We work with you, to help you find the look and space you desire. Adding space adds value to your home. 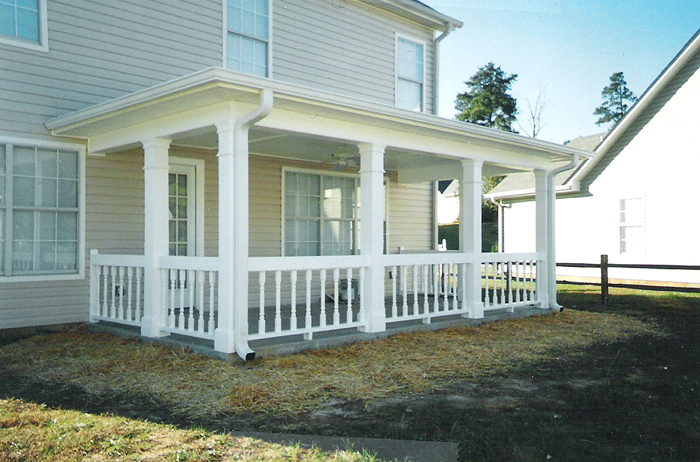 At B/W Home Builders, we make sure your addition is designed to look as if it was always a part of your home. Running out of room? Let the experts at B/W Home Builders help you design and construct that extra living area you’ve always wanted. You’ll add space and value. Whether it’s for the kids’ or the master bedroom, B/W Home Builders can fit anyone’s needs with unparalleled quality craftsmanship you’ll admire for years to come. Relaxing, entertaining …Enjoy your home to the max with a new Family Room, Living Room or Den. An investment in your home is an investment in your family. 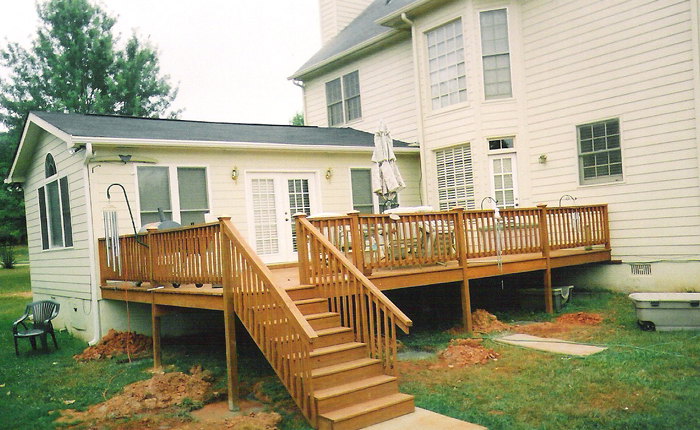 Adding a custom deck, gazebo or 3-season room is not just about increasing your homes resale value. It is about backyard BBQ’s, lazy afternoons with a good book, and late summer evening get-together’s with close friends. B/W Home Builders can enhance your quality of life with innovative design, superior materials and craftsmanship, and your imagination. Sealing of grout joints and tiles (done after complete installation). We’ll seal already-installed work. Just call us to set up an appointment. You don’t need a new roof often, but when you do, you want it done right! Roof type and contractor selection are the most important decisions an owner has to make when installing a new roof, or when replacing an old one. A roof constitutes only about 5% of the construction cost of a building, but provides protection for 95% of the balance of an owners investment. Roof application is not an exact science. It is a “craft” involving people, dealing with a broad range of building materials, designs, techniques, and weather. Roof application is a construction process involving the skillful arrangement of several components that constitute a roof “system”. The level of workmanship quality during the application process is the critical element of a successful roof installation. Expertise is “Know How” – “Know How” is learned through education, training and experience. You can not afford to have your roof system installed by amateurs or by a company with “pick-up” workers. Good workmanship directly affects the quality of a roof installation. The type of roof you have largely depends on what is most popular and practical in your part of the country, and on when your house was built. Often this is very difficult because water has a tricky way of traveling a long way from the source before you see it. In certain moist areas, algae can grow on shingles. Although the algae has no proven effect on shingle life, it does stain or discolor the shingle. Ice dams are caused by warm roofs and cold eaves. When snow accumulates on a roof with insufficient insulation, the snow begins melting near the ridge where the hot air rises first. Don’t exceed your local building code’s limit on the number of layers of shingles that can be applied. The additional weight can cause structural problems. One of the most critical factors in roof durability is proper ventilation. Without it, heat and moisture build-up in the attic area combine to cause rafters and sheathing to rot. Proper flashing is vital to a good roof quality roof installation. The gutters and downspouts on your Georgia home can take a beating through harsh weather conditions. Ice, snow, rain and debris can all wreak havoc on your home and cause gutters and downspouts to sag, leak, and even fall. 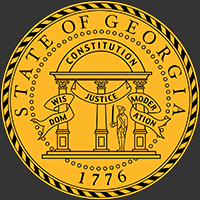 B/W Home Builders has been Georgia’s trusted leader in roofing and exterior home improvements for many years. Our company is experienced and knowledgeable, and our company can provide expert advice on the best way to go about replacing the gutters in your home. 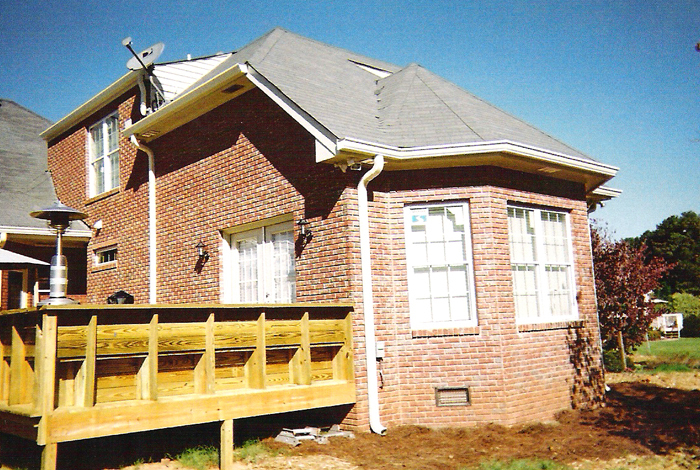 Contact B/W Home Builders today to learn how we can help you with your Georgia home gutter and downspout project.